Platten Electrics is a specialist in structured wiring. Structured wiring is the wiring between computers and servers, telephone systems, CCTV systems. This is also called CAT5e or CAT6 wiring. 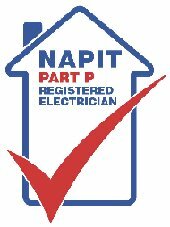 I can carry out structured wiring of any size so if your factory or office requires CAT5e wiring or if your home computer requires wiring between your computer and modum Platten Electrics can provide this service. The reason to use an electrical contractor to carry out structured wiring is I have years of experience in running cables within conduit or trunking. I have completed two courses on CAT5e/CAT6 and I have also completed a course in Fibre Optic wiring. I work closely with Malcolm Torrence of TTS ltd and between us we can supply and carry out all of your IT needs. (If you click on the web link below you can view TTS's website).